Nearly 40 years after Muhammad Ali emerged victorious over Joe Frazier in the epic Thrilla in Manila, Filipinos and other boxing fans around the world still can’t get over with the non-stop action and adrenaline rush provided by this once-in-a-lifetime bout. 1. Boxing historians describe it as a boring, overrated fight. 3. The phrase ‘Thrilla in Manila’ was coined by Muhammad Ali himself. 4. Frazier was already partially blind when he fought Ali in Thrilla in Manila. 5. It was a near-death experience for Ali. 6. The fight ended in Round 14. 7. Thrilla in Manila launched a Filipino referee’s international career. 8. Araneta Coliseum had to be renamed into Philippine Coliseum for the event. In terms of action and brutality, most people today consider Ali-Frazier III as light-years more intense than the recent Pacquiao-Mayweather fight. The Ring Magazine even went as far as honoring ‘Thrilla in Manila’ as the “Fight of the Century” in 1997, popularizing the idea that the fight was indeed the greatest in history. For some boxing historians, however, there’s more to ‘Thrilla in Manila’ than meets the eye. He said that the timeless appeal of the third and final Ali-Frazier match has been made possible by the popularity of the two fighters, the catchy phrase ‘Thrilla in Manila,’ and more importantly, the brutality involved in the said boxing match. But brutality, by itself, doesn’t elevate a fight to superiority. In the case of Ali and Frazier, some historians say that their final bout in 1975 was nothing but a monotonous and predictable fight between two boxers who were already way past their prime. In 1975, there was a brewing revolution in the Philippines as a result of President Ferdinand Marcos’ martial law declaration 3 years earlier. Rampant corruption, widespread poverty, and impending threats of the insurgency were taking its toll on Marcos’ “New Society.” People would continue to lose trust in his dictatorship unless he finds a diversionary tactic. The distraction came in the form of entertainment–world-class entertainment. It was during this era when Manila hosted the 23rd Miss Universe pageant and invited world-famous celebrities such as Brooke Shields and George Hamilton. Marcos also campaigned to have the third and final Ali-Frazier match to be held in Manila, a request that was subsequently granted in exchange for a hefty price: the Filipino dictator promised to pay the expenses and even give Ali a staggering $4.5 million pesos at a time when most Filipinos’ annual salary was not even enough to pay an upper box seat at the Araneta Coliseum. 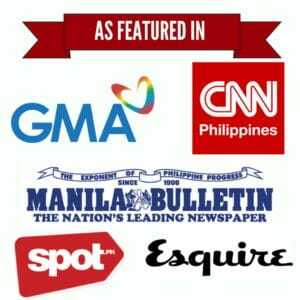 However, the political and social turmoil in the country only worsened after Thrilla in Manila. In fact, communist rebels slowly gained ground and the workers at La Tondeña (a liquor factory) staged the first illegal strike against the Marcos dictatorship a few weeks after the historic fight. Everyone was laughing except Joe Frazier. After all, it was not his first time to be at the receiving end of Ali’s personal insults. From their first match in 1971 up to that point, Frazier had been called many names: ugly, ignorant, gorilla, Uncle Tom (i.e. a black person who is eager to please white people), and white people’s champion (referring to Frazier being backed up by a group of white business investors). Turns out, Manny Pacquiao was not the only prizefighter in history who knows how to conceal an injury. 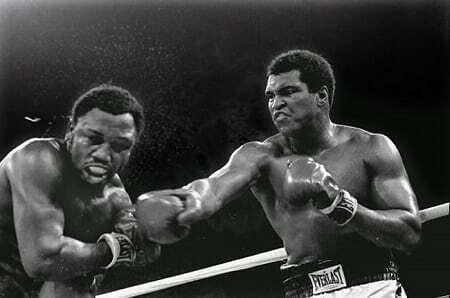 Unknown to many (including Ali), Frazier was visually impaired when they fought for the very last time in Manila. The boxer’s left shoulder also suffered from arthritis and had to be treated with cortisone before each of his fights. This vital medical information was swept under the rug and only disclosed in Frazier’s 1996 autobiography. According to Frazier, he sustained an eye injury while working on a speed bag in Philadelphia during his younger years. As it turned out, the bolt holding the speed bag was already damaged, and tiny pieces of metal went to his left eye. The scar eventually developed into a cataract, making him partially blind. With one eye clouded by cataract and his other eye swollen shut, Frazier was basically fighting blind during those last few rounds of Thrilla in Manila. Indeed, both fighters were devastated by the epic fight, but none more so than Muhammad Ali. By now, we already know that it was Ali who described Thrilla in Manila as “closest thing to dyin.” However, it was only the tip of the iceberg; most people are not aware of how much that epic bout in Manila had changed Ali. 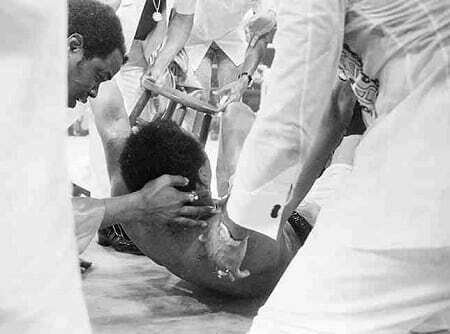 After the fight, Ali simply rested on his couch, too tired to grant an interview. It took almost an hour before he appeared from his dressing room only to describe the fight in which he won as “next to death”–a far cry from his previous battle with George Foreman where he won with an eight-round knockout. 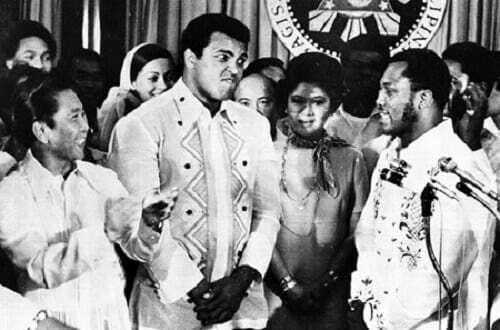 Ali’s physical state when he attended a reception prepared by President Marcos was no different: His eyes were swollen, his forehead had lumps, and his hands were too painful for even a simple handshake. Back in the day, boxing matches could last up to 15 rounds. However, when South Korean boxer Duk Koo Kim went into a coma and died a few days after being knocked out by Ray Mancini in a 1982 championship match, a number of reforms were implemented in the sport. And these included reducing the number of rounds in world title fights from 15 to 12, a modification that was based on a study claiming the final three rounds brought the most physical damage to the boxers. 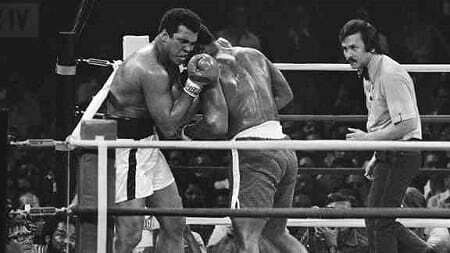 Muhammad Ali retained his world heavyweight title when the epic Thrilla in Manila concluded in the 14th round. It would have continued all the way to the 15th round if Eddie Futch, Frazier’s manager, did not intervene. The reputation of Thrilla in Manila as a non-stop boxing match that put both fighters’ endurance to the test was attributed to a Filipino boxing referee: Carlos “Sonny” Padilla Jr.
Father to actress and singer Zsa Zsa Padilla, the veteran referee first tried his luck in local movies before venturing into the boxing arena. His biggest break came after he was chosen to serve as the third man in the ring during the Thrilla in Manila. Prior to his selection, Eddie Futch objected to all three American referees originally chosen for the fight. Although he was a late replacement, Padilla proved to everyone that his style was something worth emulating. Courageous and knowledgeable, Padilla favored no one and wouldn’t let either of the fighters get away with more than brief holding or clinching, a style that kept the legendary fight going. Padilla described what it was like to serve in one of the greatest fights in boxing history: “Tinatapik ko si Ali at tinatanggal ko ang kamay niya. 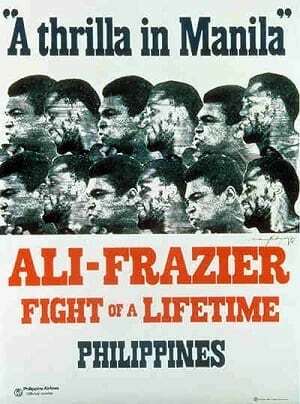 Kaya pag humawawak siya kay Frazier, tapik, (I call a) break, tapos tinatanggal ko ang kamay niya.” (I would tap Ali and remove his hand from Frazier. That’s why when he’d hold Frazier, (I would) tap him, break, then move his hand). His unique style not only shocked Ali (who were used to playing with passive referees before), but also gave Padilla enough exposure to be voted as the 1976 Referee of the Year in Boxing Illustrated. The recognition opened a lot of doors for Padilla. For two decades, he served as the referee for various international championship bouts including Mike Tyson vs. Pinklon Thomas, Salvador Sanchez vs. Wilfredo Gomez, Sugar Ray Leonard vs. Wilfredo Benitez, among others. 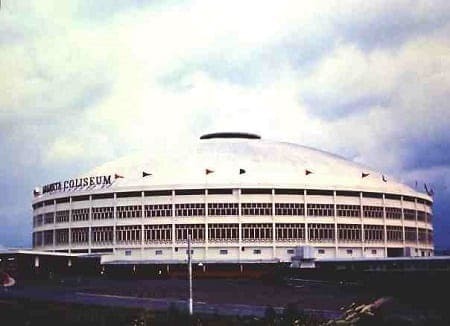 Once considered as the largest dome in Asia, Araneta Coliseum was renamed Philippine Coliseum for the benefit of the international media who were covering the Thrilla in Manila. The epic boxing match was attended by an estimated 27,000 fans–among them President Marcos and his first lady Imelda. Although the indoor sports arena was air-conditioned, the cooling effect was not enough due to the sheer volume of the crowd and the hot temperature outside that peaked during the fight. It was reported that the temperature inside reached 107 degrees. Dr. Pacheco, Ali’s boxing physician, said that the heat “was as intense as any fight I’ve ever been in.” He added that the “heat in Manila is an ‘I’m about to drown you in a monsoon’ type of heat. Oppressive. I had a hard time breathing. Not only were all the seats filled, all the aisles were filled and there people crammed in the rafters. I don’t know if you could squeeze in one more person. It was body to body.